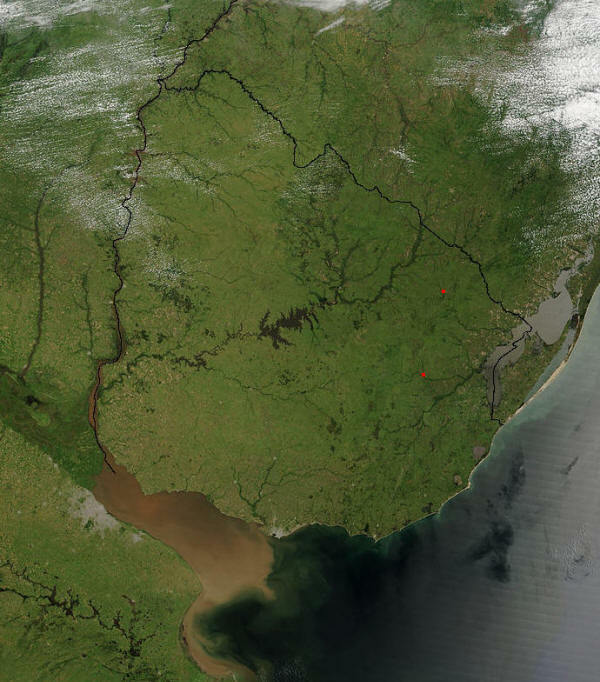 NASA astronaut photograph of the Río de la Plata estuary looking west-east, the picture does not show a north and south view. Actually the right is the south and the bottom of the picture is the west. Note Greater Buenos Aires on the right side of the picture, and Montevideo on the left side (near the mouth of the Santa Lucía. To the east of Greater Buenos Aires, a smaller conurbation is visible, including La Plata (a few kilometers inland) and the Berisso-Ensenada area (near the river). 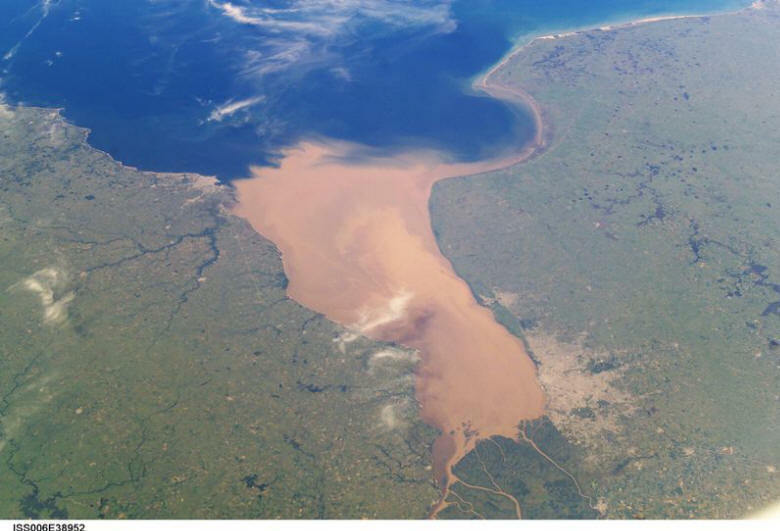 Water on the river is brown because of sediments carried from the Paraná and Uruguay rivers. The color turns blue when approaching the South Atlantic Ocean. The exact location of the color change (which also implies a change from clear to salt water) depends on winds and currents.